The craze of foods in the last two years of blogging popular picks everything from 5 minute Artisian breads to Nutella wonton ravioli! It hasn't stopped. Desserts with Nutella have still been the biggest draw and attractions in views and reposts on other sites with popularity. I have first hand experience with healthy foods not getting popular at all. I have a site called Blogsgotheart. Dedicated to a happy healthy heart of foods. Fat is flavor and more appealing to most viewers. Italian food seems to be pretty universal these days and still my favorite to cook. If I post something that has Nutella in it the views triples in views in an hour. If I post Brussels sprouts with a gourmet flair I get a few looks, not many comments and virtual boos. So here is what I predict what will bring your blog more views if you post more recipes and photo's of them in 2013. No Name Cupcake (Shown) yes it has Nutella in it! First and foremost for Dessert the number 1 popular views of the year in 2013 will be the Cupcake. Not just any cupcake but fancy, filled and frosted. Don't hesitate to make many this year to get more traffic especially a show stopper unique delicious cupcake. Get creative! Third this was a toss up between homemade breads or pizza with creative toppings go go for both! Spring, desserts with chocolate, cupcakes especially and filled tarts will be a big craze. Brownies of all kinds will be blasting the net everywhere, all different kinds, an easy throw together that kids love. Nutella always a favorite will still be on top of the list of must tries. Can you believe some never heard or tried it? Summer Skewers are so much fun. The foods of choice will be to use more healthier threads of fish, turkey , chicken and stick to lighter more lower fat meats to serve. Grilling is the easiest clean up and perfect for entertaining. Many recipes will gain popularity from desserts to main meals on a stick! Start with fruits, marshmallows and drizzle some chocolate on the kabobs. Try tomatoes, avocado, olives, low fat mozzarella and soft toasted garlic bread a perfect starter all on a skewer! Try dessert pizza''s, grilled pizza and top them with the latest crazes. 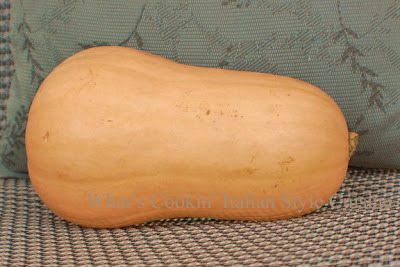 Fall is going to bursting with soups made from pumpkin and squash of all kinds especially zucchini. Use in speciality stews and don't forget the many desserts these beauties can be made into. Pour on that hot sauce even on steamed broccoli a little goes a long way. Baked potatoes and other vegetables in combination with a creamy dressing will be a big hit this coming fall! Winter Back to basics a busy time of the year for Holiday planning but elegance takes over. Bringing colorful dishes to the tables but sticking to what everyone is familiar with. Get that crockpot out for Chili, stews, mac & cheese and comfort soups are always a hit. The ingredient this year? Greens of all kinds, cabbage, escarole, kale, collard, spinach. Use it generously throughout the season. The last item will be desserts made with cranberries that will be a colorful addition for you Holiday tables. Don't forget to get creative with thos Latte's and Coffee drinks, copycat drinks will bet he hit of the season for sure! Yup, I can see why all these posts got tons of hits! You always have such yumminess to share...and I'll be happy for the Brussels sprouts recipes, too! I can't WAIT to read all about these posts in the coming year! Yum. And who wouldn't love squash!